Vijay is an Actuarial Director based at the Firm’s headquarters in London; he joined Broadstone in August 2011. 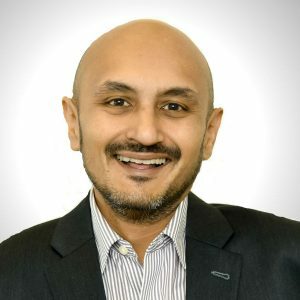 Vijay graduated from the London School of Economics in 1996 with a degree in Actuarial Science, and is a Fellow of the Faculty and Institute of Actuaries. Throughout his career, Vijay has been involved in all aspects of trustee advice work for schemes ranging in size from £1m to £500m and is a Scheme Actuary to a number of pension schemes. He has also provided investment consulting advice to smaller closed schemes on route to ultimate buyout. He has advised corporate clients on a variety of pension projects such as benefit alterations, scheme closure, reaching agreement with trustees on various aspects of actuarial valuations and on pension accounting. This has included giving evidence as an expert witness at the Court of Arbitration of the International Chamber of Commerce in Paris, in a pensions dispute between multinational firms. Vijay has over 20 years’ experience in pensions, all acquired in consulting firms: Punter Southall, Gissings (now part of Capita) and Barnett Waddingham.